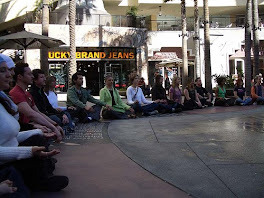 The LOHASIAN: Physician & Researcher Stuart Brown Asks, "Can PLAY Save the Human Race? "Can PLAY Save the Human Race? Brown, a physician, psychiatrist, clinical researcher and the founder of the National Institute for Play, has made a career of studying the effects of play on people and animals. His conclusion is that play is no less important than oxygen, and that it's a powerful force in nature that helps determine the likelihood of the very survival of the human race. Brown states, "The evidence is broad. It starts objectively by watching animals at play and seeing what it does for them -- it improves their performance, immune system, their capacity to remember things. And if you follow that through to a human system, those same benefits appear to us -- particularly in fertile imagination, in a sense of optimism, in capacity to persevere and to do things that you enjoy -- are all by-products of play. And if you then hook someone up to a brain imaging machine you'll find out that when they're at play, the brain lights up more from that than virtually anything else they can do." 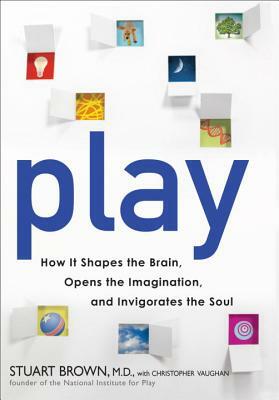 His book "Play: How It Shapes the Brain, Opens the Imagination, and Invigorates the Soul" journeys into the heart of the question...can being silly and outright undignified be - good for us ?